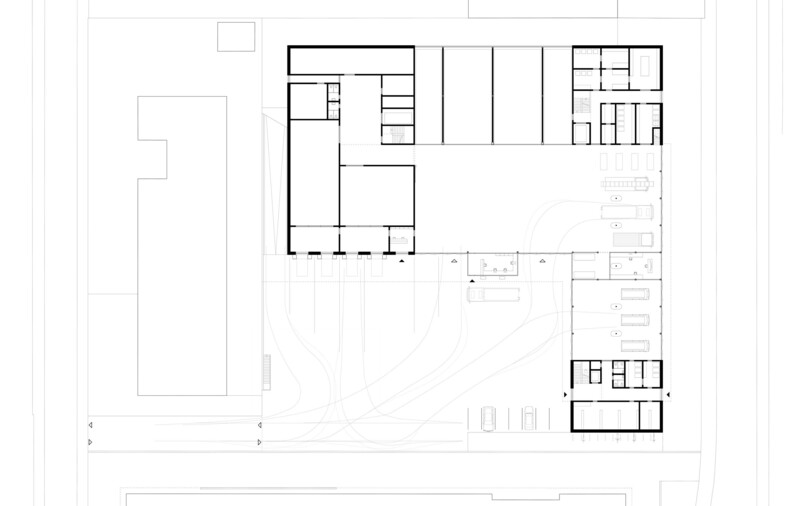 The proposed compact new building combines all uses in two simply structured L-shaped sub-volumes under one roof. In this way, the scarce ground floor space can be efficiently utilized both inside and outside. The road-accompanying bar along Binzmühlestrasse creates the volumetric link to the Noerd building. 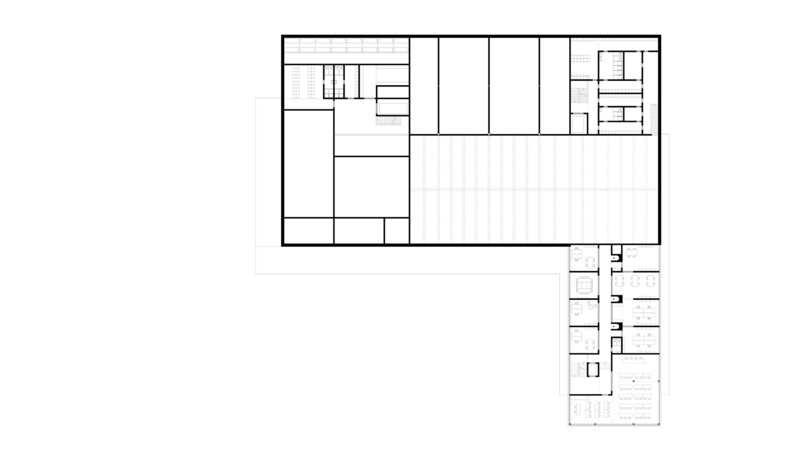 The layout of the offices and lounges along the street ensures a visual link between the public and the users of the building. The entrance from the street also offers an address for those unfamiliar with the area. The compact, rather industrial looking volume of the Central Operations Logistics (ZEL) with its only small share of openings is consciously arranged in the second row. In terms of scale, size and elevation, the new building is cautiously integrated into the adjoining large volumetric conglomerates on all sides. The spacious and flexibly useable shared courtyard is located on the inside of the site. All facilities, parking areas, entrances and access roads are grouped around it. Each department has its own areas assigned to it, so that day-to-day operations are as smooth and independent as possible. 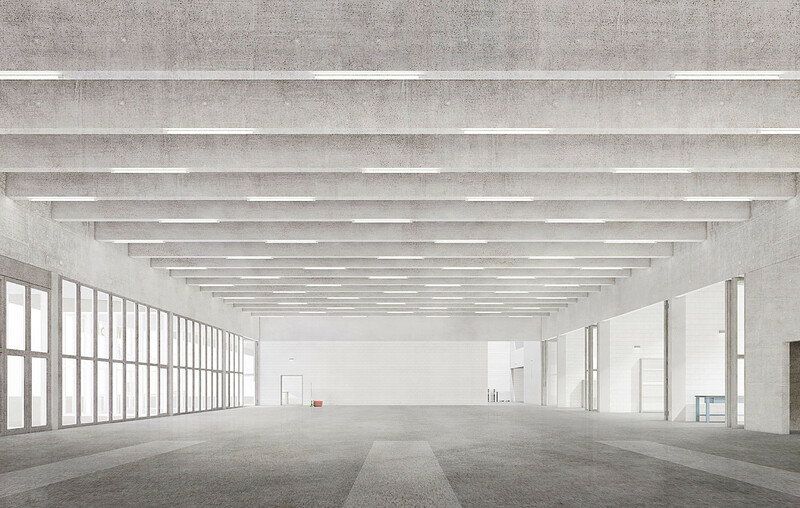 The multifunctional hall is the continuation of the common courtyard inside the building. Sheltered from weather and outside climate, all activities that require a lot of space, such as exercises or the preparation of major events, can be carried out here. 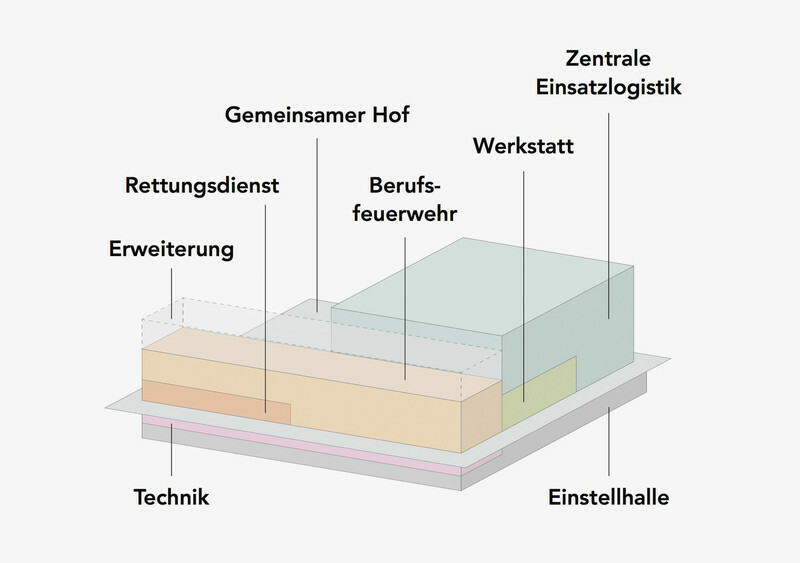 The vehicle halls for the ambulance service and the professional fire brigade are arranged in such a way that they can be exited directly onto the Binzmühlestrasse in case of emergency. Wache Nord Status: Selected competition entry (3rd place). Programme: Fire brigade station with ambulance garage, repair shop and central operational logistics. Location: Zurich Oerlikon (ZH). Schedule: Planning 2016 – 2017. 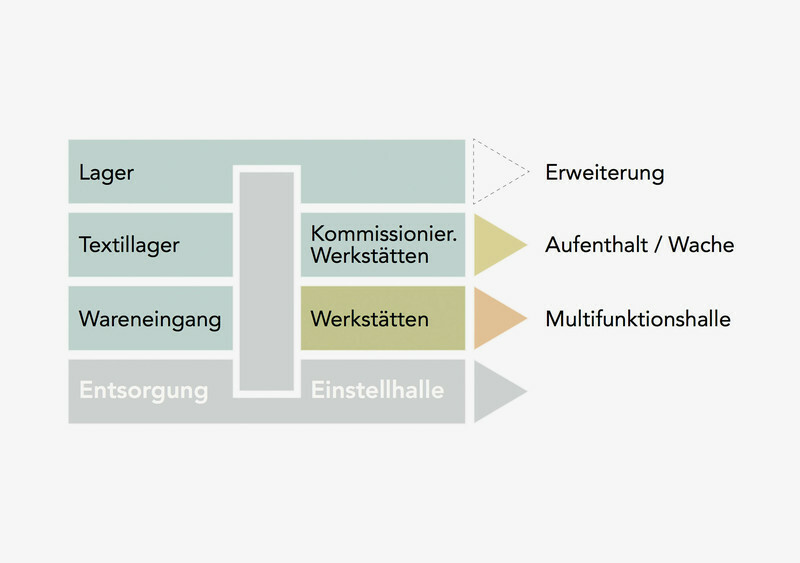 Cooperation: with Ressegatti Thalmann Architects, Fürst Laffranchi Engineers (structural engineering), GMS Partner AG (project and construction management), Klaus Zweibrücken (traffic planning), Studio Durable (sustainability concept). 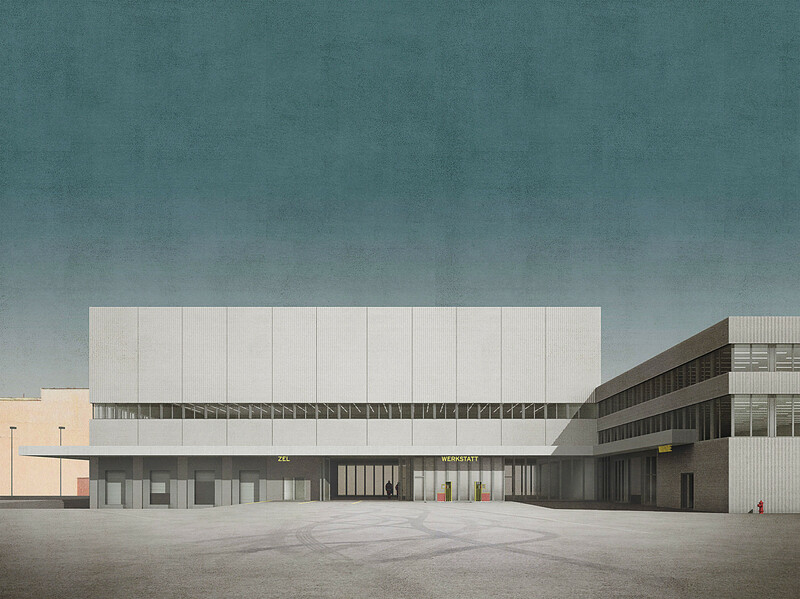 Rendering: Zuend Zuerich. 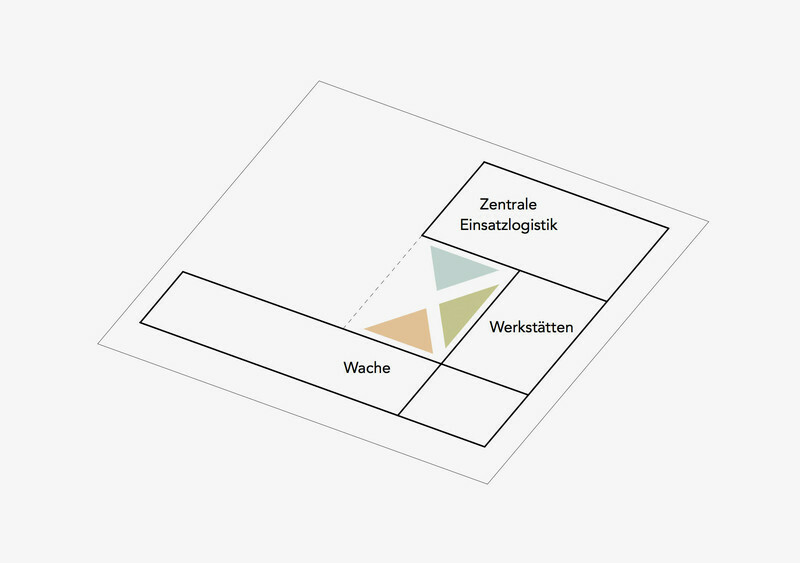 Organizing body: Public works office, City of Zurich. Construction costs: approx. CHF 60 Mio. Collaborators: Michael Wagner, Raphael Vanzella, Sophia Disiou. Download: Jury report.